In honor of Martin Luther King Jr. Day on Monday, Jan. 21, 2013, students at Ocean Avenue Elementary in Portland read and discussed the book, “Martin’s Big Words,” as well as participated in a drum circle and mural painting to honor the slain civil rights leader. 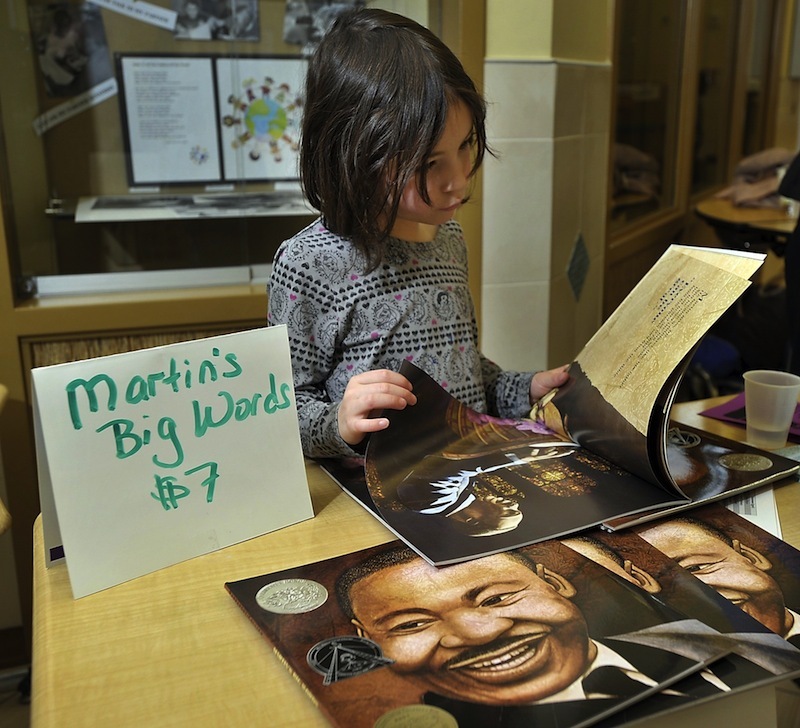 Below, Saya Brown, 6, reads the book the event was centered on. 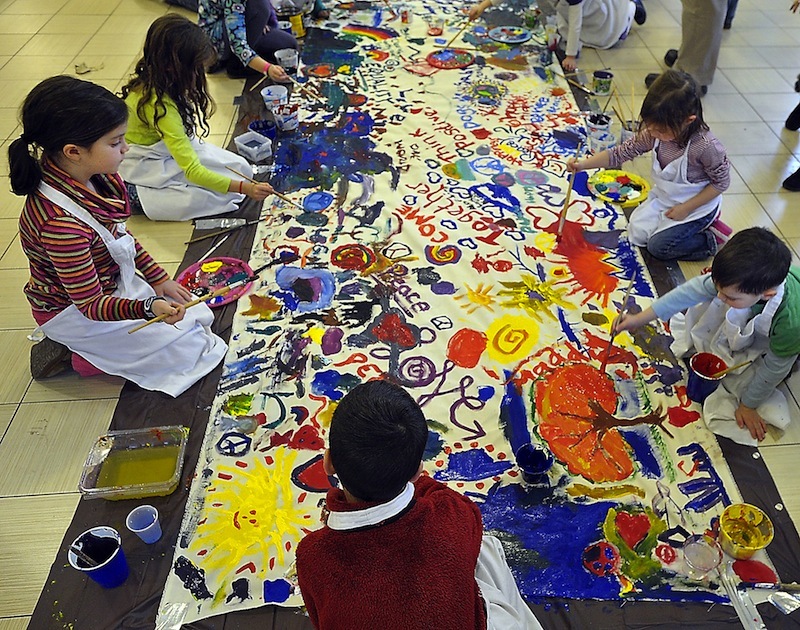 In the next photo, students work on the Mural of Dreams, which will hang inÂ Portland City Hall later this year. 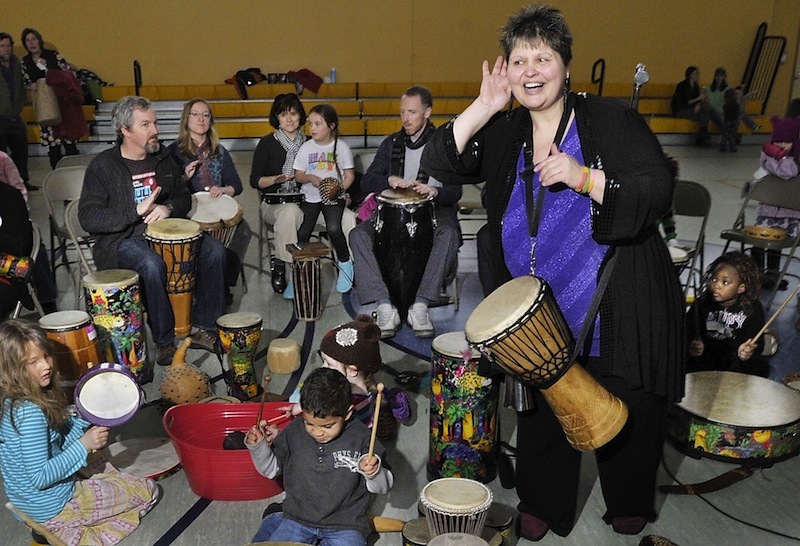 In the final photo, Patsy Onatah, director of the Sanford Community Drum Circle, teaches different drum methods to children and parents who attended the event.